The Broadway adaptation of Disney's Frozen is to transfer into the Theatre Royal Drury Lane in Autumn 2020 reopening the recently closed West End theatre, which is undergoing a £45 million refurbishment and renovation project. 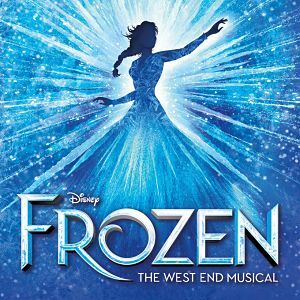 Produced by Disney Theatrical Productions, the show originally opened on Broadway in March 2018 and was nominated for a Tony Award for Best Musical. Music and lyrics for the musical are from Kristen Anderson-Lopez and Robert Lopez, with a book by Jennifer Lee. Based on the 2013 film, the story centres on the relationship between two sisters Elsa and Anna, who are princesses. Elsa has magical powers to freeze objects and people, which she cannot control. After inheriting the throne, Elsa flees, causing the kingdom to become frozen in an eternal winter, and nearly kills her sister. She must sacrifice and show true love to save the day. The new production is directed by Michael Grandage (Tony Award winner (Red) and director of three Olivier Award-winning Outstanding Musicals (Merrily We Roll Along, Grand Hotel and Guys and Dolls)with set and costume designs by Christopher Oram, lighting design by Natasha Katz, and choreography by Tony Award winner Rob Ashford (Thoroughly Modern Millie). Sound design is by Peter Hylenski, video design by Finn Ross, puppet design by Michael Curry, and musical supervision and arrangements by Stephen Oremus. Tickets for Frozen are due to go on sale in February. Infra-red system with headsets. Induction loop at Box Office. Headsets available in the foyer. Guide dogs are allowed inside the auditorium. Staff can also dog-sit up to four dogs per performance in the Manager's office. Adapted toilet to the left inside Russell Street entrance, beside the Stalls.